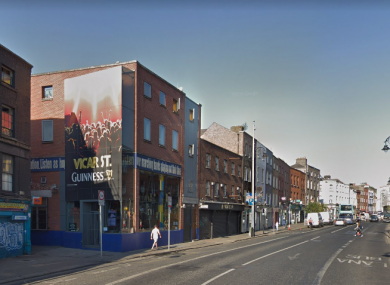 DUBLIN CITY COUNCIL has given the green light to developer Harry Crosbie for a new eight-storey 185-bedroom hotel at Vicar Street in the Dublin Liberties in spite of some local opposition. A spokesman for Crosbie said today that it is hoped that construction work on the Vicar Street Hotel will commence on the project in the next number of weeks and that the hotel will be open for business in 2020. The spokesman said that the hotel “will add to the growing restoration of the Liberties”. The spokesman also confirmed that Crosbie “is also working on a Vicar Street South in conjunction with Wexford County Council”. The new venture in Dublin, when operational will create 80 jobs and the spokesman said that the hotel development “will create a new way for the public to enjoy a live show”. Walls Construction, which worked with Crosbie on the original Point Depot and when it was transformed into an area, is to construct the hotel. One of the conditions of planning is that the hotel firm pays Dublin City Council €487,407 towards public infrastructure for the area. The report also stated that the development “can provide a catalyst and dynamic for the regeneration and redevelopment of the Liberties area and will enhance the attractiveness and diversification of the city’s tourist accommodation offer”. Failte Ireland also made a submission with the City Council in support of the application. However, a number of local residents – supported by People Before Profit TD, Bríd Smith – lodged objections against the plan. The residents of Catherine Street told the City Council that the development would cause much distress to the residents of the area – an area, they say, that has had continuous development for the past two years. In her objection, Smith stated that the application does not represent development sympathetic to an urban residential community bound by new student accommodation, a public house/music venue, a homeless hostel and two new hotels in the immediate vicinity. In the joint objection with councillor Tina McVeigh, Smith pointed out that “we are in the depths of a housing crisis that is having a catastrophic effect on our society”. Objectors now have the option of appealing the Council decision to An Bord Pleanála. Email “185-bedroom Vicar Street hotel given green light by DCC despite local objections”. Feedback on “185-bedroom Vicar Street hotel given green light by DCC despite local objections”.